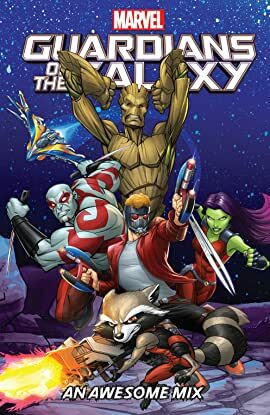 Collects Marvel Universe Guardians of the Galaxy (2015B) #3, 5, 9 and material from Marvel Universe Guardians of the Galaxy (2015A) #1-4. 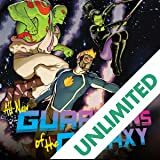 Your favorite band of cosmic caperers star in adventures for all to enjoy! 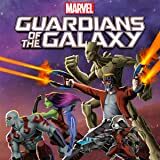 When the Milano crashlands near an orphanage, Star-Lord and Gamora discover just how much of a handful children can be! 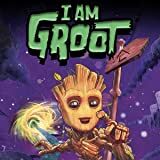 As the ship comes under attack from within, will anyone believe Groot's explanation? 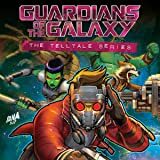 A trip to a farming planet turns deadly for Drax - but on another world, which Guardian will be welcomed as the chosen one? Things get animated when the Collector comes a-calling! An alien fungus gives Groot a monstrous growth spurt! 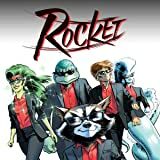 And a blast from the past teaches Rocket a thing or two about family! They're the Guardians of the Galaxy -and they're an awesome bunch!